The 30-year old antiquated ICD-9 coding was replaced by ICD-10-CM/PCS to modernize the medical coding pattern and to reflect changes in the current advanced healthcare practices that expand the capacity of the healthcare industry. The new version of medical codes is created to keep pace with developments in medical practices and healthcare delivery by rendering higher quality information to measure service quality, outcomes, efficiency, and safety. By now, you all have heard about the expansion in the volume of new codes, the variance in code structure and the predicted impact on health care productivity. However, the substantial impact of ICD-10 codes on across the healthcare spectrum is yet to be discussed comprehensively. The World Health Organization established the International Classification of Diseases (ICD) to standardize medical records. In October 2015, years after it was initially published, the healthcare industry of the US made the switch to ICD-10 for coding, classifying, diagnoses and procedures. This massive change was compared with the Y2K-like event, and ICD-10 transition had drawn much speculation and confusion as it posed a remarkable impact on healthcare providers, payers, and billing companies. The ICD-10-CM is used for reporting diagnoses in all clinical situations, and ICD-10-PCS is used for inpatient procedures only. To report ambulatory procedures, the Healthcare Common Procedure Coding System (HCPCS) and Current Procedural Terminology (CPT) is used. Why is ICD-10 better than ICD-9? With the introduction of ICD-10 codes, the total number of medical codes were expanded from 14,000 to 68,000 in ICD-10-CM and from 4,000 to 87,000 in ICD-10-PCS. With ICD-10, the terminology and disease classification are correctly in line with current technology and modern clinical practices. The ICD-10 codes are in 3-7 alphanumeric characters to provide greater specificity, find disease complexity and identify disease etiology precisely. Extensive combination of codes and extreme severity parameters can provide severity of injuries. The impact of the ICD-10 transition. The massive change in medical coding pose a huge challenge to medical billers concerning the adaptability to the previous changes, but the greater level of specificity of ICD-10 is undoubtedly beneficial for payers as well as providers. The ICD-10 codes will provide additional details and eventually improve the quality of care and tracking of clinical quality standards. 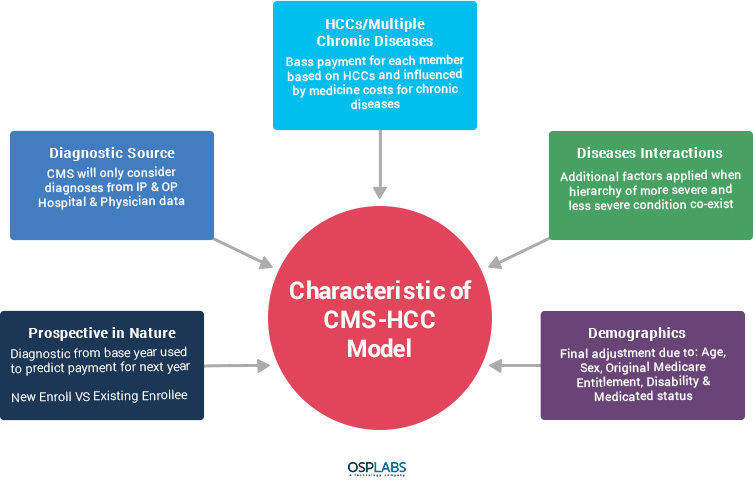 ICD-10 is an advancement that will result in accurate coding and forecasting quantum leaps in the ability to measure health care services, monitor public health and reduce the need for supporting documentation when submitting claims. “ICD-10 is created by the World Health Organization and has been used for mortality reporting for many years,” she says. “In the United States, ICD-10 has been clinically modified to meet our needs, including reimbursement and also data collection. This health data is compelling in determining the current quality of healthcare and also improving the future of healthcare,” says Dee Mandley, RHIT, CCS, CCS-P, president of D. Mandley & Associates in Stow, Ohio. Below is a summarized version of ICD-10 impact on healthcare providers. The ICD-10 codes are explicit and physicians who follow comprehensive documentation practices so that coders can select the correct diagnosis codes. The injury coding, poisoning, adverse effects, and drug underdosing are newly added code components that help to enhance the quality of healthcare and track of clinical quality measures. The combination codes replace the multiple complex diagnosis codes and identify all aspects of the patient’s diagnosis. 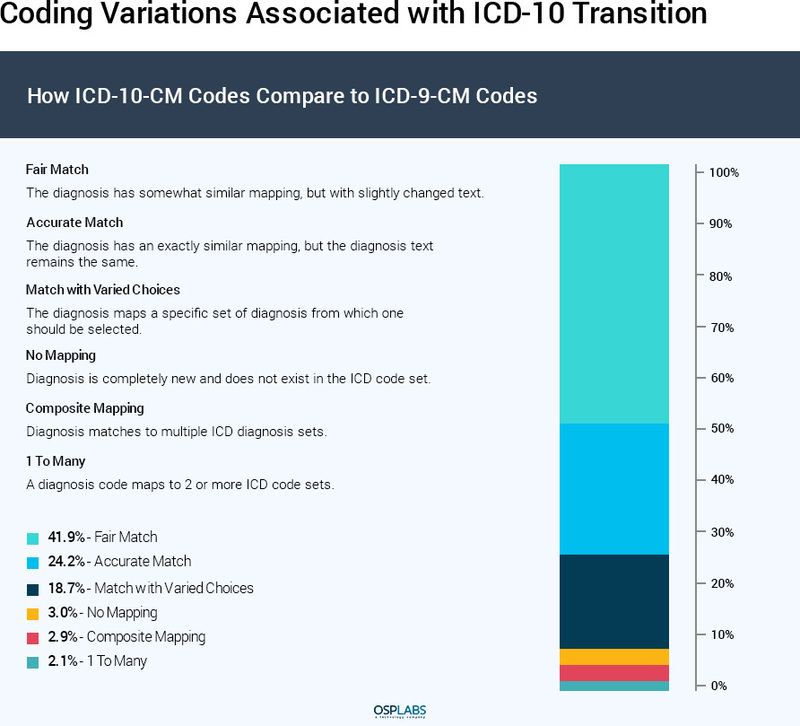 The granularity of ICD-10 coding improves the quality of healthcare. The accurate coding provides accurate patient’s conditions that facilitate smarter and effective disease management in pay-for-performance programmes. ICD-10 codes help providers to provide best clinical practices and keep up with evidence-based medicines by providing precise clinical data, new diagnosis, and comprehensive care delivery. The updated ICD-10 coding demands, the information required from a specialist such as a pathologist or a radiologist must come from referring physician. The referring physicians write the order and provide the right inference behind the examination by a specialist. This practice is to enhance physician’s intake protocols, educate referring physicians and ensure efficiency. The new codes demand comprehensive and better quality of clinical data, failing to comply with such a fundamental requirement may cause confusion and loss of revenue. The ICD-10 codes are not only higher in numbers, but also much complex than ICD-9 codes. The new codes indicate laterality, stage of care, specific diagnosis and specific anatomy. To assist ICD-10 transition, CDC and CMS have developed General Equivalence Mappings (GEM). GEMs are also known as the crosswalks as they give connecting codes from one coding system into the other coding system. The American Health Information Management Association reports, ‘The ICD-10 transition will be beneficial for the greater good of public health, to track global health threats faster and compare best practices with the international healthcare community. Injury and trauma research will help in determining better yielding procedures for specific injuries. “The details in the new codes may provide the ability to trigger events or conditions in patients and allow physicians to perform outreach to these patients to deliver preventative care versus more serious and costly care when a condition becomes an emergency,” says Peggy Honts, Vice President of consulting services for healthcare information technology firm AXIOM Systems in Frederick, Md. ICD-10 has benefitted providers with operational monitoring, research, accurate payments for new procedures, fewer miscoded reimbursement claims, a better understanding of the value of new procedures and efficient disease management. Ref: Rand Corporation’ Report on ‘The costs and benefits of moving to the ICD-10 code sets. Healthcare payer organization have much to derive from the ICD-10 transition. With rising costs of healthcare, payer organizations can find the new medical codes as a blessing in disguise. According to the Department of Health and Human Services, the conversion to ICD-10-CM/PCS will cost an annual estimated cost of $2.6 million at a present value discount of 3 percent and $2.3 million at a present value discount of 7 percent over 15 years. However, the investment of resources for effective ICD-10 transition will result in better clinical information to control costs, increased accuracy of payments and reduction of outstanding claims. The substantial impact of ICD-10 transition will be on fraud management. The new medical coding system will reduce fraudulent and exaggerated claims. Few dishonest healthcare providers make fraudulent claims with services which were not provided, for more expensive services than required, performing unnecessary services, and forging a patient’s diagnosis to justify medical procedures. As per the estimation by the National Healthcare Anti-Fraud Association, the financial losses due to fraudulent claims in the US are in the tens of billions of dollars each year. The granularity of ICD-10 codes can prove helpful to detect the potential fraud or medically unnecessary claims. ICD-10 can pinpoint the severity of ailment and also guide the development of preventive and self-care models resulting in the reduction of waste and financial abuse. The updated codes provide a qualitative improvement in coding accuracy and eventually result in an accurate claim submission. The detailed information can be derived with provided ICD-10 codes which enable quick turnaround time for prior-authorizations. The precise character of ICD-10 codes, help to reduce errors and confusion. With detailed information, payer need not require to ask for more documents to investigate or reject the claims. The better claim adjudication means quicker payment and notable savings for payers and physicians alike. Risk adjustment is used to predict the healthcare cost by diagnosis reporting to measure a patient’s health status and to utilize diagnosis codes to adjust potential risks. There are multiple risk adjustment models based on ICD-10 codes; each has different characteristics. The diagnosis codes on patient’s claims to determine patient’s disease burden and risk scores. If the risk scores are higher for a patient with higher disease burden, the patient is less healthy. The introduction of ICD-10 codes has significantly increased the revenue expenses for billing companies, especially in claim processing solutions. Their billing staff must be ready and trained with new ICD-10 codes for reporting, tracking and A/R follow-up. The in-depth knowledge of ICD-10 codes can help billing companies with efficient revenue cycle management. ICD-10 codes will provide the massive influx of detailed and precise clinical data which can be harnessed to streamline processes and make smarter business decisions to improve revenue cycle management for added benefits. The primary issue with ICD-9 claims was that they were not outlined for reimbursement purposes. ICD 10 CM and PCS were developed for drawing claims as a priority. The proper knowledge about the new codes can help to understand billing regulations and ensure billing compliance to reduce billing errors. The new set of codes are massive and complex and require precise clinical information in medical claims. The ICD-10 codes increase the scope for errors which is intensified by a more laborious denial management process. The billing companies have a clear opportunity to target the extended volume of ICD-10 codes to identify ample mistakes to postpone payment. The billing errors can delay or reject the claims and reimbursements on the basis of differences in the codes set which cannot be accounted due to unavoidable compromises in ICD-10 transition. ICD-10 transition conforms the proper and thorough attention to specialties and selective healthcare conditions. These new codes offer greater precision and exactness in diagnosis and inpatient procedures reporting, eventually making accurate and efficient reimbursements. The healthcare providers are required to work diligently for diagnosis documentation as ICD-10 has eight times more codes than ICD-9. Th implementation of ICD-10 transition has impacted pediatrics, cardiology, and nephrology more significantly than others.